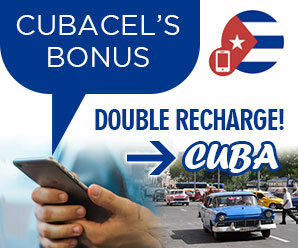 CubaCel offers excellent coverage on most of the Jardines del Rey Island chain. Whether you are visiting just one island or, several within the Jardines del Rey Archipelago, we offer specific advice for mobile phone users on any of the islands. This includes network coverage for both roaming use and those of you who have chosen to get a Cuban phone number to save money. Visit the individual websites below to obtain more information about where to get a Cubacel SIM card and how to reduce your mobile phone network charges. Also, how to avoid expensive roaming charges by getting a Cubacel temporary SIM card, then after use the available top-up cards sold at the hotels listed on each specific page. Take a look at the page for the island or islands you intend to visit for concise and clear details about using your mobile phone for both call and data packages in Jardines del Rey. We list all the Cubacel offices on each island along with places you can simply get a mobile recharge for your Cuban SIM card. We want you to stay connected in Cuba, so please take a look at our Cubacel wireless guides above.